If you’re heading outdoors with a partner, the family, or other group it can be convenient and safe to have the ability to communicate with each other. For most of us, most of the time, that means the ubiquitous smartphone. But if your preferred recreation site is really “away from it all”, cellular coverage might be spotty or nonexistent. Having an option to use conventional two-way radios is a real advantage in these situations. This article will discuss the different varieties of equipment available and their relative merits and issues. All radio transmitters within the USA are regulated by the Federal Communications Commission (FCC) in order to prevent various users from interfering with each other. In some cases an individual license is required to operate a transmitter, while other modes are licensed by rule, i.e. you are deemed to have a license by default as long as the rules are followed. In all cases except amateur radio, the equipment used has to be tested & approved by the FCC (“Type accepted”) for that band. It’s important to remember that in all of these radio services, specific channels are never assigned for the exclusive use of any user. You must cooperate in the selection and use of the channels in order to make the most effective use of them and to reduce interference to other users. The FCC really doesn’t put a lot of effort into enforcement for the personal radio services, but they occasionally make an example of someone who is creating interference problems (especially if it affects public safety agencies). So if you choose to operate radios in one of the licensed services, get the license and follow the rules. The Citizens Band (CB) Radio Service is the oldest of the personal radio services and familiar to most people as the choice of long haul truckers and off-road enthusiasts as well as a following of hobbyists. It consists of 40 channels between 26.965 MHz and 27.405 MHz with AM and Single Sideband (SSB) modes available. CB Radios are easy to find and can be very inexpensive. Transmitters are limited to about 4 watts. CB is intended for short range communication (a few miles at best) but uses the lowest frequency band of any personal radio service and its signals are subject to highly variable propagation characteristics due to atmospheric conditions. At certain times your signal can bounce off the ionosphere – perhaps multiple times – and open a corridor to locations hundreds or thousands of miles away. This effect, called “skip” is fairly unpredictable. Hobby users enjoy the challenge of long distance contacts (and many run illegally high power as well), but the resulting interference from distant stations can make the band unusable for local conversations. Also, the AM mode is very susceptible to static and interference from lightning storms & auto ignition systems. Efficient antennas for CB are large, so handheld radios end up with poor range compared to vehicle-mounted or base stations. CB is licensed by rule. An eligible person may operate a CB station in accordance with the rules regardless of age, and for personal or business use. CB operators are not assigned call signs and often identify themselves with self-assigned “handles”. The General Mobile Radio Service (GMRS) is a licensed radio service that uses 23 channels around 462 MHz and 467 MHz. GMRS licenses are available to an individual for short-distance two-way communications to facilitate the personal or business activities of licensees and their immediate family members. 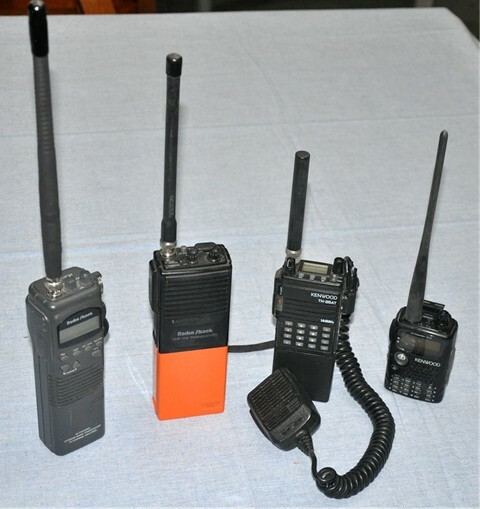 A GMRS system can consist of one or more mobile stations and sometimes one or more land stations. You can expect a communications range of five to twenty-five miles. 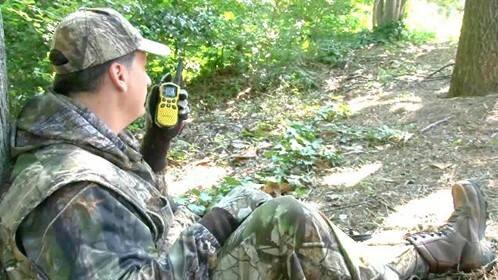 GMRS systems can include repeaters, which are often located in mountaintop locations to greatly extend the usable range. User groups exist which maintain private repeaters for their members to use. Selective calling (tone or digital squelch) is common. GMRS stations cannot be connected with the telephone network (no phone patches). GMRS licensees are issued call signs, and must identify on-air with them. The FCC has discussed moving instead to license GMRS “by rule”, meaning that an individual license would not be required, but that has not yet happened. Licenses are issued for a five-year term and cost $65. The Family Radio Service (FRS) was instituted in 1996 as an alternative to CB. FRS uses 14 channels in the UHF band near 462 and 467 MHz and uses narrowband FM. FRS radios are limited to ½ watt and must use only the factory supplied antennas. Nearly all FRS radios are handhelds although Radio Shack did market one vehicle mounted model. Propagation in this band is pretty much line-of-sight so the effective range is based on the users’ elevation and surroundings. For most purposes no more than a mile should be expected. Most FRS radios come with a selective calling feature allowing a group of radios to share a coded squelch setting. Other users are not heard although they are sharing the channel (but may still interfere with each other). This is rarely a problem for operation in remote camping / hunting scenarios. Seven of the FRS channels (Channels 1-7) are shared with the GMRS, so you may hear communications from GMRS stations on these channels. The other seven channels are “FRS-only” channels. There are no FRS repeaters, and you may not interconnect FRS radios with the telephone system. The Garmin RINO is dual GMRS / FRS radio with gps mapping built in, and has the ability to transmit its location to another similar unit. This capability comes at a price in the vicinity of $500 per radio. The Multi-Use Radio Service (MURS) was created in 2000 and uses two-way radios of the business-band type. MURS is licensed-by-rule and allows operation on five VHF channels: 151.82, 151.88, & 151.94 MHz narrowband FM, and 154.57 & 154.60 MHz wideband FM. The latter two channels are often referred to as “Blue Dot” and “Green Dot” respectively. A great many inexpensive, used wideband radios are available that cover these frequencies because low end walkie-talkies sold to retail businesses, schools, etc. included them – these channels previously required a business radio license – and business users have been pushed to migrate to narrowband radios. The Radio Shack BTX-121 is a good example, commonly available for around $20 on eBay, and covering 154.6 MHz by default. MURS allows up to 2W transmit power and external antennas and mobile or base units are OK. Range is 1-2 miles between handhelds, up to 10 miles or so with elevated antennas. In urban areas users may encounter interference with business users still on these channels, but once out in the woods they are very quiet. Repeaters are not in use, and MURS stations are not allowed to be interconnected with the public switched telephone network. The most versatile option for field communications is to obtain an Amateur Radio license. In recent years the FCC has made it easier than ever to obtain one. There is no longer any requirement to learn Morse code, and the entry level license, the Technician class, requires only a passing grade on a 35-question written test covering basic radio theory and knowledge of the laws. Amateur Radio licensing is handled by volunteer examination teams run by local radio clubs. The FCC-issued license itself is free, but expect to pay a fee of $15-$20 to cover costs for the exam session. Licenses are issued for a 10-year term and are renewable at no charge. Amateurs are issued a personal callsign, and must identify with it on the air. An amateur license covers only the individual it is assigned to, so for family or group communications every radio operator must be licensed. Amateur frequencies are usually lightly used, especially in remote areas, so interference is rarely a problem. Having an Amateur license allows one to operate radios on many different frequency bands and modes. Voice, data, even images can be transmitted. Many hams build their own GPS-tracking systems that can report their position automatically. You can use commercially built radios, including repurposed radios from other services, or even construct your own from scratch. A large variety of base, mobile, and handheld equipment is available in the new & used market. Handheld radios range in price from $20 (used) to $400 (new, multi-band capable). The Technician license offers full privileges on all bands above 30MHz, which includes the VHF and UHF bands most useful to portable communications. Upgrading to the General or Extra class license (another, harder written test) opens up access to the shortwave bands (below 30 MHz) where reliable world-wide communication is possible. But that’s a topic for a whole other article. Amateur stations can run higher power (up to 1000w, although 50w is typical for a mobile radio and 5w for a handheld walkie-talkie) and can build and operate repeaters. Many Ham repeaters are located on mountaintops and have wide coverage areas, and are open to use by any licensed operator. This can expand the range of a low power hand-held radio to hundreds of miles in remote areas not served by cell towers. In addition, many repeaters have an “Auto-Patch” feature which allows phone calls to be placed through your radio. The major restriction is that radio traffic must be personal only – no business talk. So what’s the right choice for your situation? Obviously, the Amateur approach is the most versatile and offers the most performance, but you’ll have to convince your family, hunting buddies, etc. to all get licensed to make it practical. But it’s not that hard to do – lots of 10-year-olds are licensed. If that isn’t workable (yet), MURS radios are a great option. They are inexpensive and have superior range to FRS radios, with no licensing worries. MURS doesn’t get much publicity… outside of major cities the MURS channels are very quiet. I keep several in my vehicle to hand out “just in case”. FRS radios are inexpensive but a little too popular. 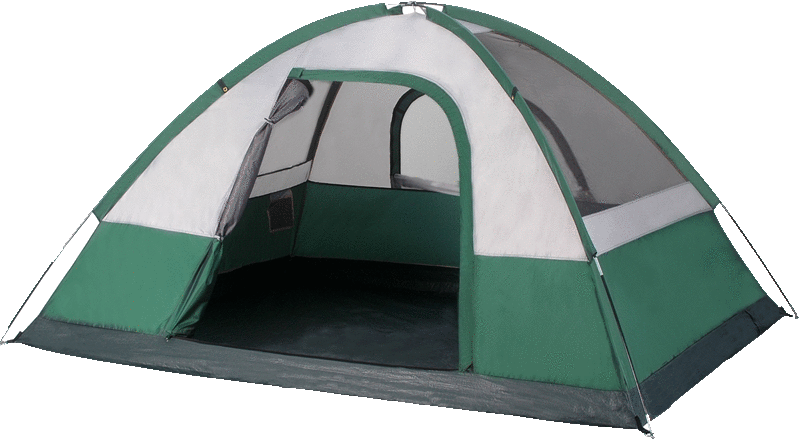 In urban settings or near campgrounds the channels will be over-run with children and over-use of the “CALL” function. GMRS and combo radios are widely available and range widely in price. For family use, especially if you get access to a repeater system, they offer good performance and some advanced capabilities (like the RINO). Resist the temptation to operate without the license, however. If you hang out with a group that’s already invested in CBs, you may have to go with the flow, but expect to put up with noise, interference, and short effective range.